Go Karts Roses Karting Roses offers Four different classes of Karts Luminous screen on the track show lap times for each driver. 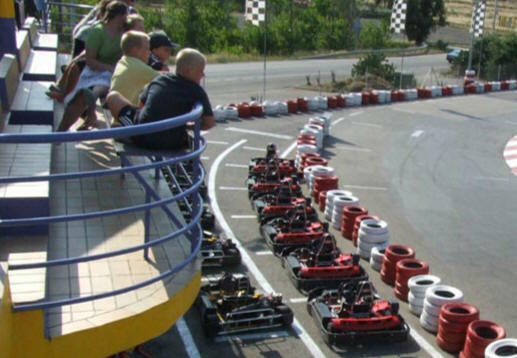 Situated in carretera de Palau, near the Aquapark on the outskirts of the town, Karting Roses offers 850 metres tracks 8 to 10 metres wide. 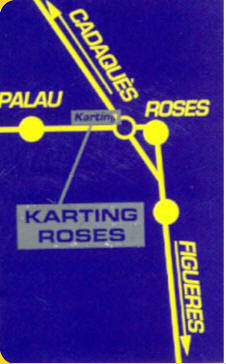 Karting in Roses, Northern Costa Brava. A large terrace give non-participants an excellent view of the track and there is also a licensed bar. Click ABOVE for a list of Hotels,Guest Houses,Apartments and Villas in the Roses area of Costa Brava Spain. A luminous screen on the track show lap times for each driver who receives a printout at the end of the session, showing best lap, each lap time, speed and classification. In addition to 8-minute sessions and three race competitions in F-1 Monsters and F-2 Sport Karts, Karting Roses will organise special events for businesses, associations and groups. 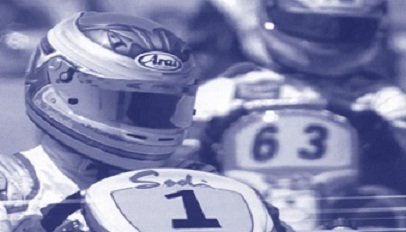 Contact Karting roses direct for further information. Are you a person who like’s to press the accelerator pedal hard without a chance you’ll get a fine? With the F1 monster of Karting Roses you’ll definitely have a lot of fun. Are you the driver who rips the kart track with 110km/h? Can you imagine how fast that is on a kart track? Do you first want to get a bit the kart feeling? In the F2 Sports you’ll get feeling on a comfy way, while you speed over the track with 85km/h. Roses itself is located in the Spanish region of Catalonia on the Costa Brava. This is the biggest resort on the northern stretch of the Costa Brava, being 30 kilometres south of the French border. Roses is very steeped in history with origins going back to the 8th century BC when the first settlers arrived here from ancient Greece. The early 1960s saw the arrival of many international tourists who have since transformed this centuries old fishing port into a thoroughly modern and popular holiday destination loved by so many. Try Go Karts Roses. Go Karting in Spain for the Go Karts Index. 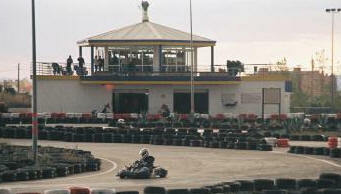 Go Karts Orihuela Costa Torrevieja Costa Blanca Spain. From the Back Cover for Go Karts Index. 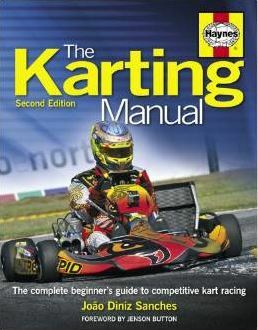 How to get started in karting – including how to get a race licence, racing classes and equipment; Racing techniques – the racing line, kart control techniques, wet-weather racing and strategy; Preparation – kart set-up and maintenance, driver physical and mental preparation and advice on obtaining sponsorship; Useful contacts – including a list of UK and international kart circuits, and details of karting associations and equipment suppliers.